New to Inbound Marketing? Try these 4 blogging tips. You may not have noticed quite yet, but traditional outbound marketing strategies such as tv, radio, and print advertisements are in their death throes. The onslaught of ads that the average person is exposed to every day have made them numb to outbound, “interruption” marketing practices. To make matters worse for traditional advertisers, people now have many more choices – THEY are in control of when and how they consume media. For the small business owner, this trend continues to represent opportunity. By effectively using inbound marketing techniques within a defined niche of prospects, small businesses can differentiate themselves without relying on old-school, interruption marketing. 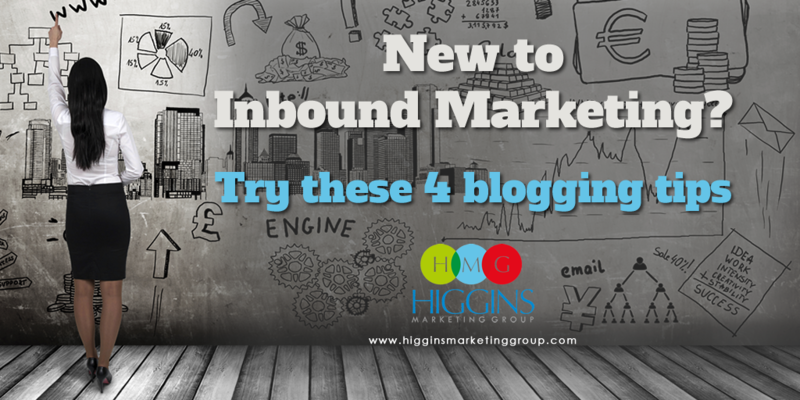 Because it is relatively inexpensive, yet highly effective, informational blogging is one of the most popular inbound marketing techniques being used today – but just because it’s inexpensive doesn’t mean it’s easy. 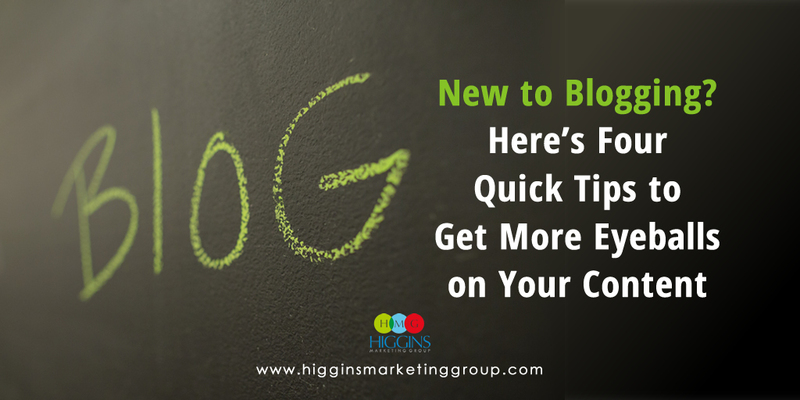 The difference between a successful, long-running blog and a blog that quickly crashes and burns often hinges on a few basic best practices. In order to get people’s attention and establish credibility, you need to provide readers something valuable, such as new and exciting information. Showcase any breakthroughs or changes in your industry on your blog. For example, if you run a clothing store, you might consider writing articles about new fashion trends. It’s a rather basic point, but you should always keep your target demographic in mind when writing your blog; after all, the blog needs to be interesting to them or they will stop reading. Consider sprinkling in posts related to your customer base rather than your industry from time to time. Using the aforementioned example, if your clothing store is targeting teenage girls, throw in some articles about teen heartthrobs or empowering stories about women. 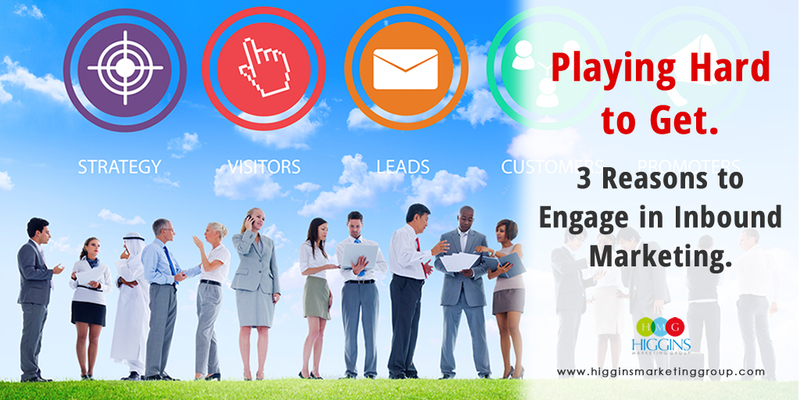 One of the goals of inbound marketing is to get visitors to return to your website. The best way to do this is by posting new blogs regularly; this not only ensures many return visitors, it also gets people to view your company as a consistent informational (or entertainment) resource. Posting original and fresh content on a regular basis is also an important key to ranking well with the search engines. Google goes to great lengths to offer its users highly relevant and timely content. Your blog can be the primary source of this content. It’s best to post a blog every few days, although if you find this too time consuming, aim for at least once a week. 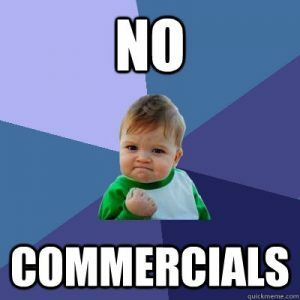 From the first toy commercials they saw while watching Saturday morning cartoons to the beer commercials they saw while watching last year’s Superbowl, people have been marketed to their entire life -and most of them can spot a thinly veiled ad from a mile away. This means that any attempt to promote your company on your blog can alienate readers; remember, you want visitors to see you as a source of information, not a salesperson. Stick to blog topics that don’t directly pitch your company’s products or services. 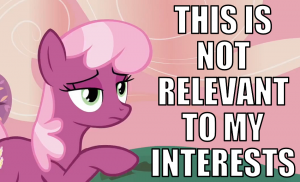 Links to other relevant parts of your website are just fine, but that should be the extent of your self-promotion. Just because you are providing useful information doesn’t mean you can’t be silly at times. Passing along a funny picture or writing a comical blog post every so often can be a great way to spice up your content. 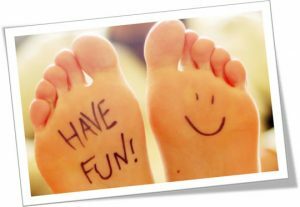 It’s also entertaining and will make a trip to your website enjoyable; this causes people to subconsciously associate your company with enjoying themselves. Depending upon your industry and target audience, you might even want to write all your blog posts in a light and conversational tone. 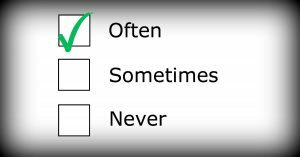 Use caution however; even professional writers have a tough time pulling off a funny blog, and if your humor fails, it could end up coming across as unprofessional. 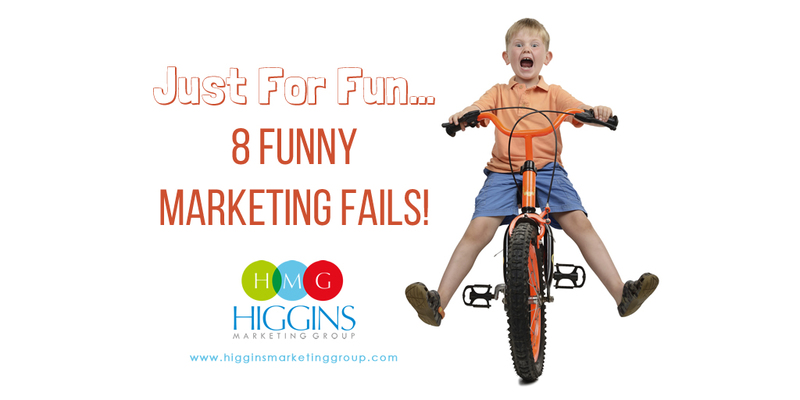 Just For Fun… 8 Funny Marketing Fails!